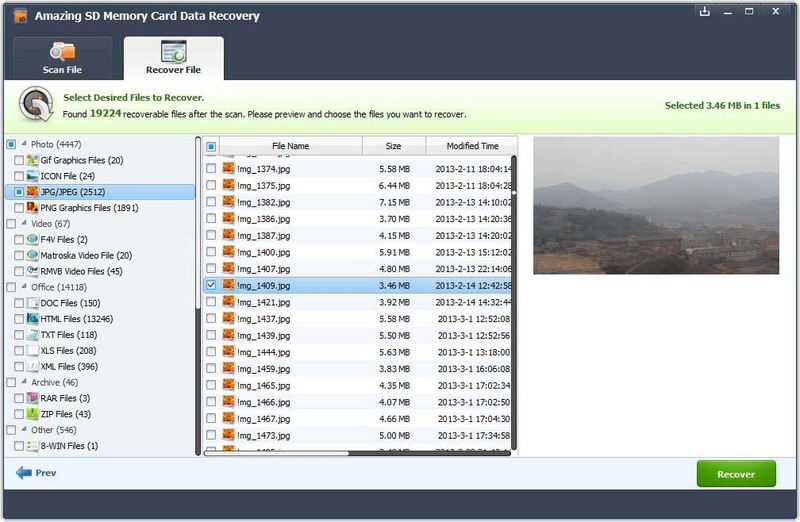 SD Memory Card Data Recovery can recover deleted or lost data from memory cards. It supports data recovery from all brands of memory card like Samsung, SanDisk, Toshiba, Kingston, Lexar, Transcend and more. 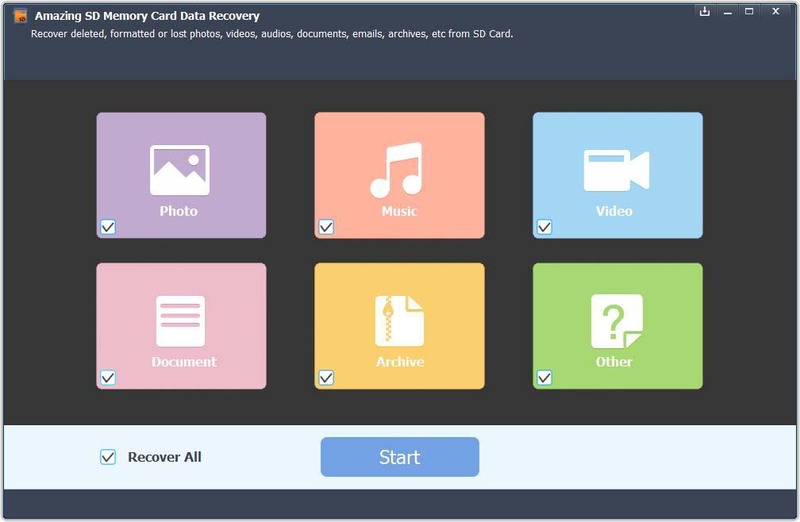 Download Amazing SD Memory Card Data Recovery and double click the installation package to install SD Memory Card Data Recovery on your computer. After that, click the app icon to run it. Select the file types you want to recover. Then click "Start" button to move to the next step. Make sure your SD card connected to the computer and next. Select your SD memory card on the disk list, click "Start" button to continue. After scan, you can preview all the listed recoverable files one by one and select out those you want. Then, click "Recover" button to get them back once. Note: Please do not save any recovered files to the SD card which you lost data before. 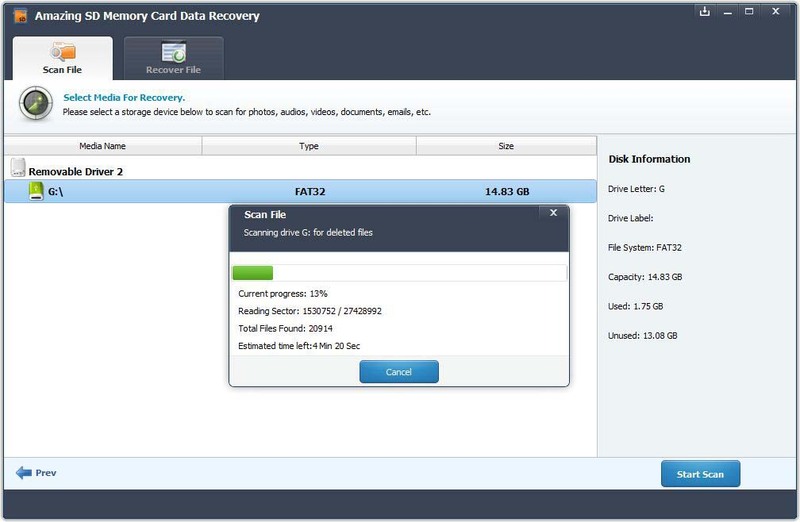 Jennifer - Retrieve lost or deleted photos, music, videos and various files from Kingston memory card due to corruption from virus attacks, Trojan infection, formatted data, etc. 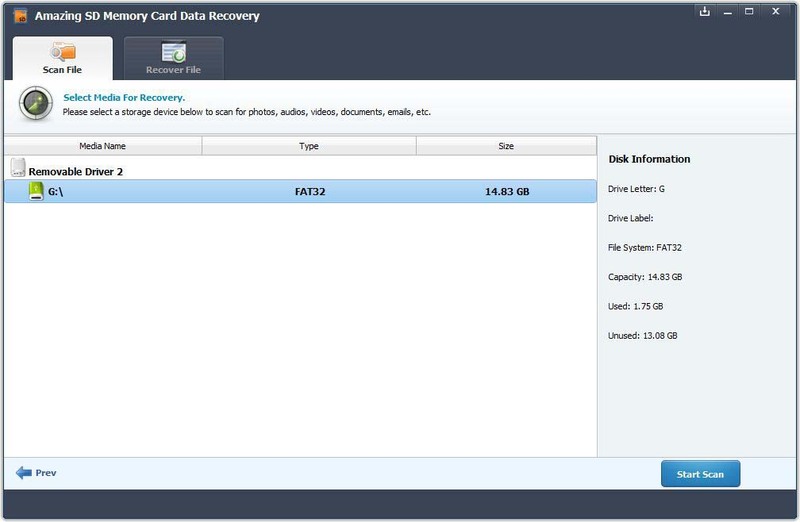 Kelly - Recover deleted/lost/formatted data from SanDisk memory Card, microSD, CompactFlash and Memory Stick Pro Duo memory cards, and more.